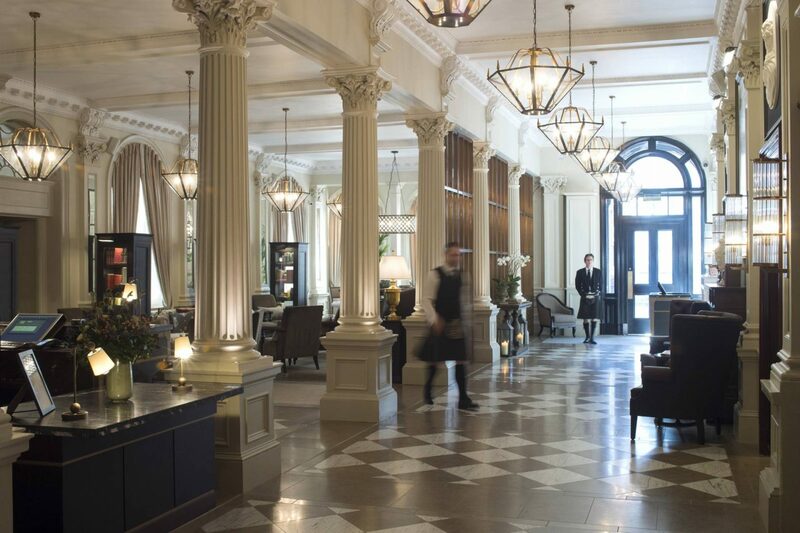 One of Edinburgh’s most iconic hotels, formerly The George, relaunched as The Principal Edinburgh on November 1st. To help celebrate the launch of The Principal Edinburgh, we were invited to an exciting unveiling event to celebrate the hotel’s extensive multi-million pound renovation by interiors architects Goddard Littlefair. During the exclusive event a one-off piece of artwork commissioned exclusively for The Principal Edinburgh by renowned contemporary artist Charlie Anderson was revealed. 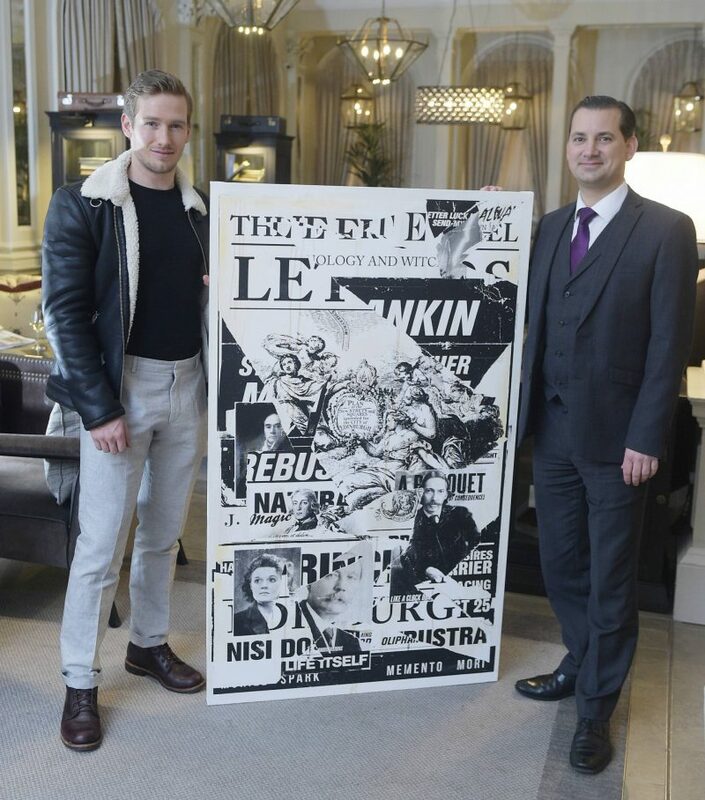 Famed for his large-scale pop art paintings, Charlie was commissioned to create artwork that pays homage to the history and future of the hotel using a montage of iconic Scottish faces from the world of literary. 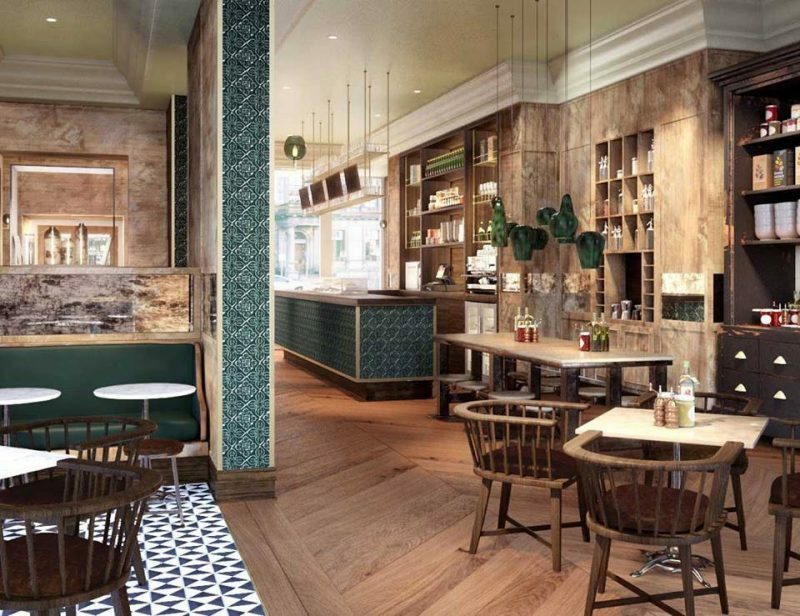 Principal is a new, high-end urban lifestyle hotel group, launching the first three Principal hotels in Manchester, Edinburgh and York that sees historic, grande dame hotels sensitively restored, remodelled, and redefined. Each of these hotels has a story to tell—of its history, its design and architecture, its quirks and characters, and its role in shaping the city. Principal hotels are crafted to serve as revitalised neighbourhood destinations, ready to welcome a new generation of local, national and international guests. The Principal Edinburgh first opened as a hotel in 1881, the rich heritage of this is still laced throughout the Georgian building with opulent elements including textural flock wall coverings, ornate cornicing, glass cupola and stately columns. The city’s rich literary heritage is referenced with details like vintage typewriters and classic Scottish novels. 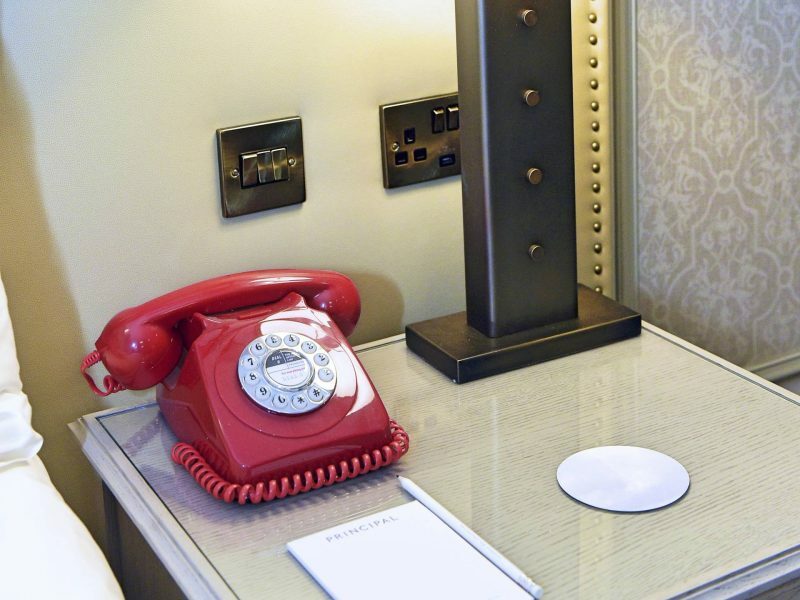 Each of the guest rooms is decorated in a natural, earthy palette in keeping with the Craigleith stone surroundings, some with carefully considered finishing touches such as a retro red British dial phone, a TV hidden within a painting frame, and a Scottish themed complimentary ‘tuck box’. The bathrooms are equipped with Villeroy & Boch freestanding sinks, some with walk-in showers and others with elegant roll-top baths. The hotel is dog-friendly and canines are greeted with a dedicated dog-bed and treats in the room. We were lucky enough to visit suite 104 with a view of the Christmas lights on George St, there was not one bit of noise filtering through the double glazed windows from the hustle and bustle below. Next stop was the Forth View Suite – an events suite with rooftop terrace available for hire which boasts breathtaking city views. At 7pm on a November evening, the view of the city’s landmarks Edinburgh Castle, Royal Botanic Garden and the Fife of Forth bridges illuminated by their evening lights and starry sky was amazing (I even saw a shooting star while on the rooftop!). When you arrive at The Principal Edinburgh expect to be greeted with a warm welcome from the concierge team in kilts and fresh thistles in vases in the reception hall. There is a personal touch at every corner of this hotel, making it feel more like a home-from-home than just somewhere to rest your head. What I thought was a lovely touch to ensure all guests are well catered for is the complimentary coffee and croissants for guests starting their day before breakfast opening hours. The Principal Edinburgh also offers The Printing Press Bar & Kitchen, the hotel’s bar and restaurant. Serving seasonal, Scottish produce under the direction of head chef Colin Fleming. I have had the pleasure of dining here and chose steak from the Josper Grill, I have to say it was one of the best steaks I have had the pleasure of trying. I recommend following this with an Espresso Martini in the bar. In addition to The Printing Press, The Principal Edinburgh also boasts Burr & Co. An exciting addition to Edinburgh’s vibrant coffee culture. A must-try for all us caffeine lovers. 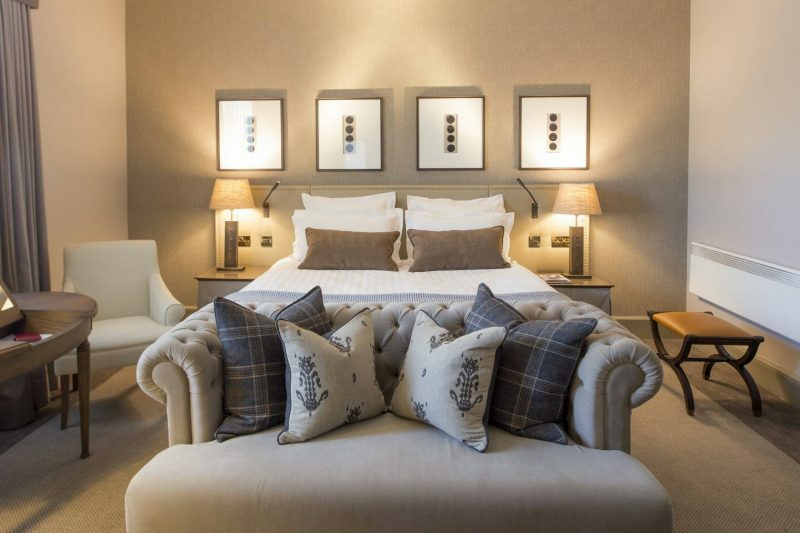 Book your stay at The Principal Edinburgh here.